Four years ago when I began contracting with an Ohio state agency as an instructional designer, possibilities seemed to abound -- to contribute from home, to work in a new online environment, to deepen my understanding of online learning, to design and develop professional development that modeled constructivist learning, and to draw on all I knew and be challenged to learn more. Unfortunately, today I lament the loss of possibilities after a design team meeting to edit an online pilot course for entry year teachers. I dutifully took notes as elements I deemed so important to good learning were put on the chopping block and began the edits with a heavy heart -- get rid of the blog, the teachers didn’t like it (gone the possibility to begin the journey of critically reflective teaching; the team work was too difficult for them, they couldn’t find the team area (it was linked from the main course menu), get ride of the teamwork (gone the possibility for sharing in the work of meaning making). The door seems to be closing on this leg of my journey. The subject matter experts have become so instructive. I regret that; however, it’s time to move on. But the closing door is opening on new possibilities-- again -- to draw on all I know and be challenged to learn more, to make some small contribution that helps educators embrace and engage in 21st century learning, to deepen my understanding of the pedagogical possibilities that transform learning through the seamless integration of web 2.0 tools. 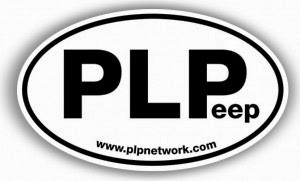 First, I wanted to welcome any folks who have arrived here from PEARLS PLP! I am humbled and honored that Sheryl has asked me to participate. Why I’ve not been here? I’ve been out in the comments and connecting with students. Why? I have learned so much from the dynamics, conversations, and thinking that permeate the edublogging community but from the voices of students on blogs, I’ve witnessed the power of this technology to engage learners in meaningful, constructive learning. Because I am not currently in the classroom with students, (and if I were, we all would be blogging) I’ve chosen to comment to students to encourage and nurture positive, honest conversations that I think can extend and celebrate learning. I am drawn to the student voices, wanting to make a connection, in some way to support their learning and let them know that their thoughts and their feelings are valued far outside the classroom. I hope that I can help them maintain their engagement and extend their learning by affirming what they have written and asking additional questions. Sometimes the comments are light and celebratory. Others are probing and questioning. All are in the spirit of deepened learning. • Commenting to high school math students in Canada on their exceptional projects. Examples here and here. • Commenting to high school students as they e mentor an 8th grade group. Examples here and here. • Commenting to Ewa McGrail’s graduate students in a teaching course at Georgia State University with examples here and here. When I’m here I’m usually talking to myself, clarifying my thinking, considering all the possibilities, and celebrating good pedagogy and learning. If you checked out the links to the conversations and dialogues in which I’ve been engaged, I wonder then would you agree-- one of the most powerful features of blogging lies in the commenting feature?